The Vance and Hines FP3 tuner is innovative and allows you to manage your motorcycle’s fuel system quickly and easily using only your smartphone. The FP3 tuner allows you to easily map your bike for exhaust upgrades, air cleaner upgrades, and even motor upgrades by re-calibrating your ECM via flash tuning. 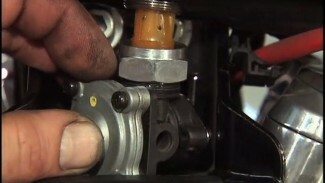 Download maps from the Vance and Hines library of calibrations. You will choose from an expansive collection of maps that are dyno-tuned, in-house, by Vance and Hines. 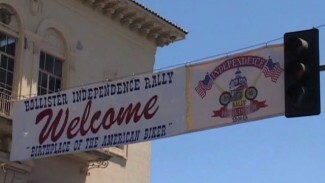 Maps are calibrated for your specific combination of motorcycle and performance parts. Don’t see a listing for the exhaust or air cleaner that you are running? Not a problem. Simply contact Vance and Hines tech support directly through the application via email or a live phone call. A representative will help you to choose the best/closest combination of exhaust and air cleaner or send a download with a custom map specifically for your motorcycle. The FP3 tuner autotune feature makes use of all the factory sensors allowing you to tune for different grades of fuel or precision tuning. FP3 even allows you to see live sensor data like speed, RPM, cylinder head temperature, voltage, gear selection, and more. The FP3 tuner is not only easy to use, but it is also fun. Whether trying to eliminate decel pop or tuning a radical combination of performance parts, the Vance and Hines FP3 will not disappoint. 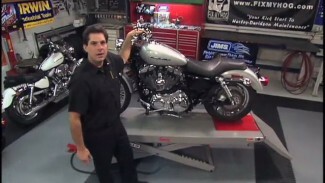 Watch Bob & Mark install the FP3 on a different Harley.